The last in my Holiday Gift Guide series is here and this one is tailored towards the Pure Product-ists skincare lovers out there who are uncompromisingly dedicated to only the highest quality plant based ingredients and will not use anything less than the very best that nature has to offer. Luckily, the green beauty community just gets better and better every year and there are so many great brands and options available now that there is no need to sacrifice performance or quality in order to only use “green” products. If this is you or someone you know then keep reading because I have compiled an amazing selection of the very best green beauty skincare sets out there that you will love. CONTENTS AND INGREDIENTS: RARE INDIGO BEAUTY BALM, VITALITY ELIXIR, PELE MASK, MAHALO BALM, VACATION GLOW. When Maryna announced this set on Instagram I immediately stopped what I was doing and purchased it because I was that excited. I have had my eye on Mahalo for so long and a set like this is just what I have been dreaming of. You get a deluxe sample of every single product in the range, including the new and beautiful Rare Indigo Balm, as well as a $15 gift card that you can use towards the purchase of any full size product – how amazing is that?! This is the perfect gift for any eco conscious beauty lover out there because not only are the products handmade using the very best natural, organic and locally sourced ingredients, but they also work hard to reduce their environmental impact, which I respect so much. 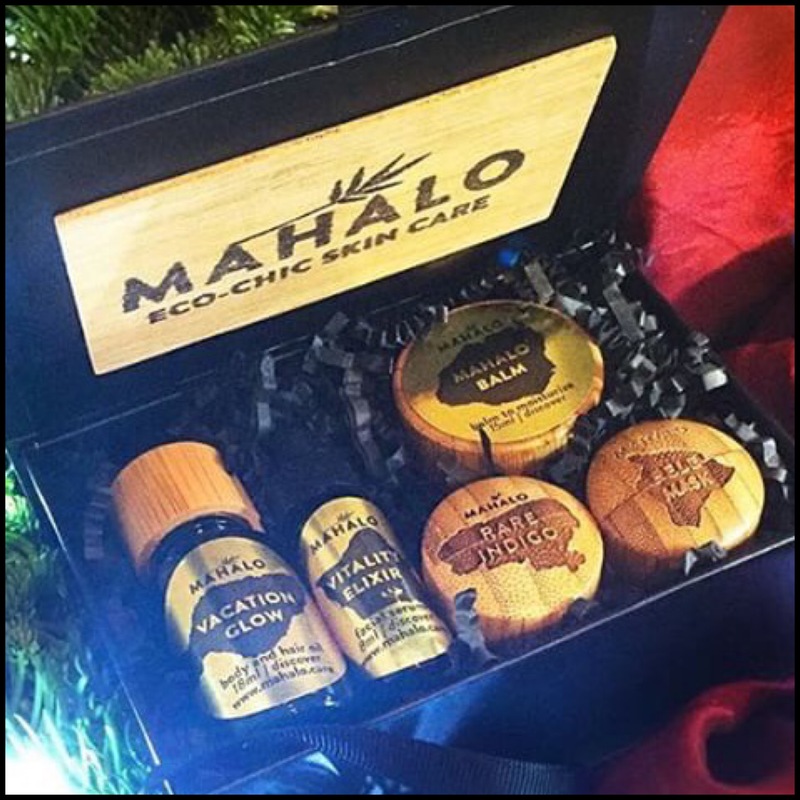 Mahalo’s products are high quality, indulgent and mindful and I suggest you snap this set up before it sells out – you won’t regret it! CONTENTS AND INGREDIENTS: REVITALIZING MIST AND RADIANCE BOOSTER. Odacité are one of the very best brands out there when it comes to bespoke, customized skincare and their Private Collection is all that and more. This set was formulated in collaboration with Amanda Bacon, the genius behind LA’s famed Moon Juice, and comes with a Revitalizing Mist and Radiance Booster to hydrate and nourish all skin types. The Mist is a simple yet potent mix of aloe vera and rose water and the Booster is a unique combination of wild carrot, camellia oil, green tea and peach. Odacite have created high quality, results driven, luxury skincare and this beautiful set would make such a lovely gift for anyone who’s looking for something really special when it comes to the products they use. CONTENTS AND INGREDIENTS: ANTIOXIDANT DEW, CLEARING SERUM, MOONLIGHT CATALYST, BEAUTY ELIXIR I, BEAUTY ELIXIR II, BEAUTY ELIXIR III AND BODY ELIXIR. 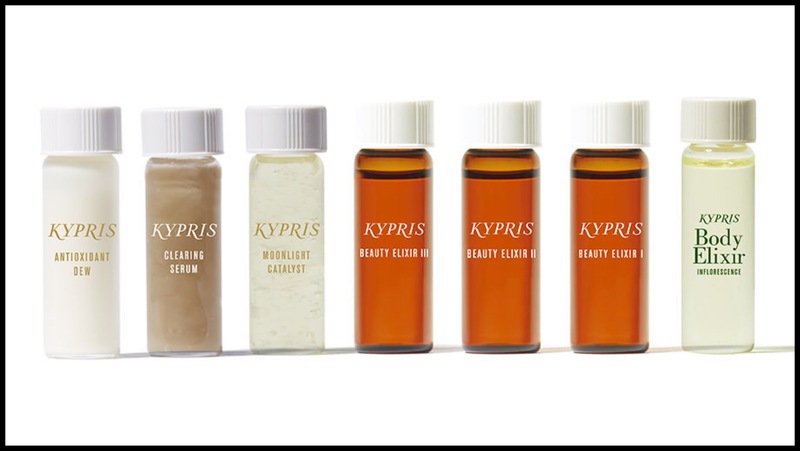 Kypris is such an incredible brand and the products are like nothing else out there. The care, quality and attention to detail that goes into each and every formulation is beyond impressive. Everything from the ingredients to the packaging are thoughtfully created to provide the best possible experience when using them without compromising the environment or jeopardizing your skin’s health. This is beauty with a purpose and there is really something special about how this brand operates – sourcing wild crafted, organic ingredients locally and sustainably, as well as working with small farms and those owned by women. I love that they have created this sample set because it is the best way to try every single product they have plus, you get a 15% off code that you can use towards any order you place within 10 days of receiving the set! I can’t imagine anyone who won’t be happy to receive this as a gift. CONTENTS AND INGREDIENTS: DAILY RENEWAL FACIAL CREAM, HYALURONIC SERUM 200, LIP TREAT. Evolve are such a new brand to me but I have really fallen in love with them. The amazing Swapna over at Beauty Motormouth recommended them to me recently and when I saw that they did these sample sets I had to get them. Evolve products are hand made and created in small batches using natural and organic ingredients. I am already obsessed with the Hyaluronic Serum 200 and I love the Gentle Cleansing Melt for a luxurious and heavenly scented facial massage. They also offer individual samples of all their other products so this would be a great way to create a customized kit and I recommend including products like the Radiant Glow Mask and Miracle Facial Oil. Evolve have excellent shipping rates (it only cost me £5 to get my package delivered to the U.S.) and if you sign up to their newsletter you get a whopping 25% off your first order. CONTENTS AND INGREDIENTS: REGENERATING CLEANSER, PURIFYING CLEANSER, HYDRATING FLORAL ESSENCE, REJUVENATING SERUM, CONCENTRATED BRIGHTENING SERUM, REPAIRATIVE MOISTURIZER, BEAUTIFYING FACE OIL, RESURFACING MASK, REVITALIZING BODY OIL, BE ADORED LIP TREATMENT, AROMATIC STRESS TREATMENT. I cannot do a skincare gift guide without including the queen of samples and kits, Tata Harper. Tata has great sets available all year round but the holiday editions are something to look forward to. This year they have the Best in Glow Kit which includes 11 deluxe samples of the brands best selling products all wrapped up beautifully in their signature green box. This is a great gift for anyone looking to make the “green switch” or any green beauty fans looking to take their travel kit up a notch. The kit includes star products like the Purifying Cleanser, Concentrated Brightening Serum and Resurfacing Mask and is a complete skincare routine in one. It’s quite a bit more expensive than the other sets in this list but as you are getting over 10 products in total and all of them are such excellent quality, it is well worth the price. That’s it for this year’s Holiday Gift Guide series but check out Part 1 and Part 2, if you haven’t already and happy shopping! Love Kypris and Odacite! I’m hosting a Kypris giveaway on my blog right now! It ends on Sunday 11:59 PM.